With summer vacation in full force, I need to lure my kids into the ultimate hobby! 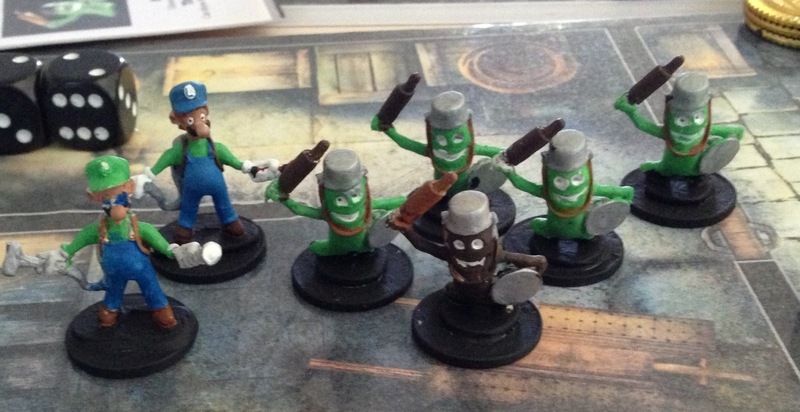 Wargaming! First victim, my son Jake. Age 10. Obsessed video gamer. 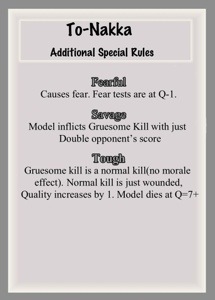 Unlikely candidate for the rigors of wargaming, but I’m going to give it I try! The bridge is finally complete!!! The hand lines are each made from 4 feet of 20 gauge steel wire. Formed into a loop, it was then twisted to create a rope like length. Twisted around the support logs and secured with some magnet wire, the “ropes” hold their shape and I believe will hold up to the abuse of the game table and my kids. 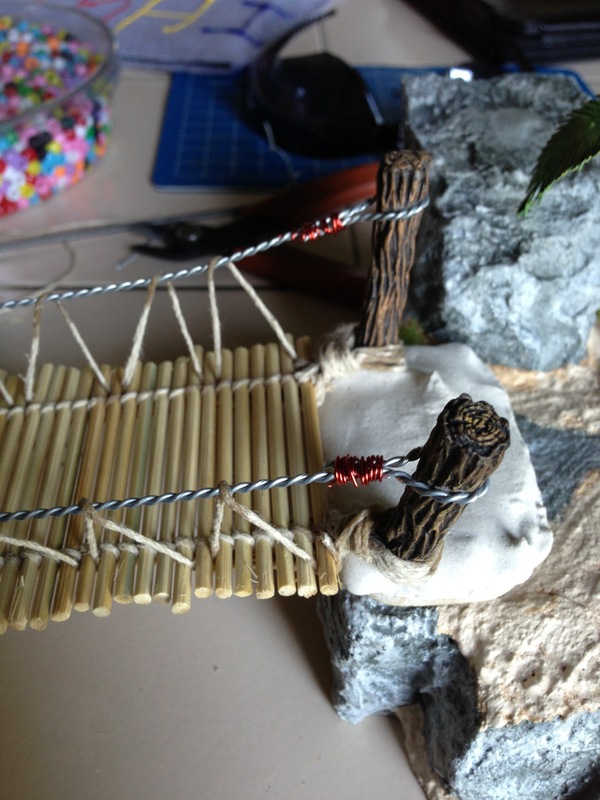 Next, I looped a length of twine from the hand line down to the bridge logs. 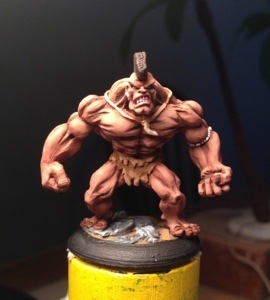 Finished slapping some paint on To-Nakka, the Carib version of Mr. Hyde. The figure started life out as a Reaper Miniature Lab Mutant. I’m very happy with the way he turned out. 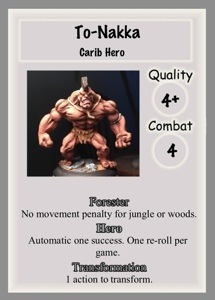 In preparation for an upcoming assault on the Carib village, I worked up his stats card. I need to check out his cost.